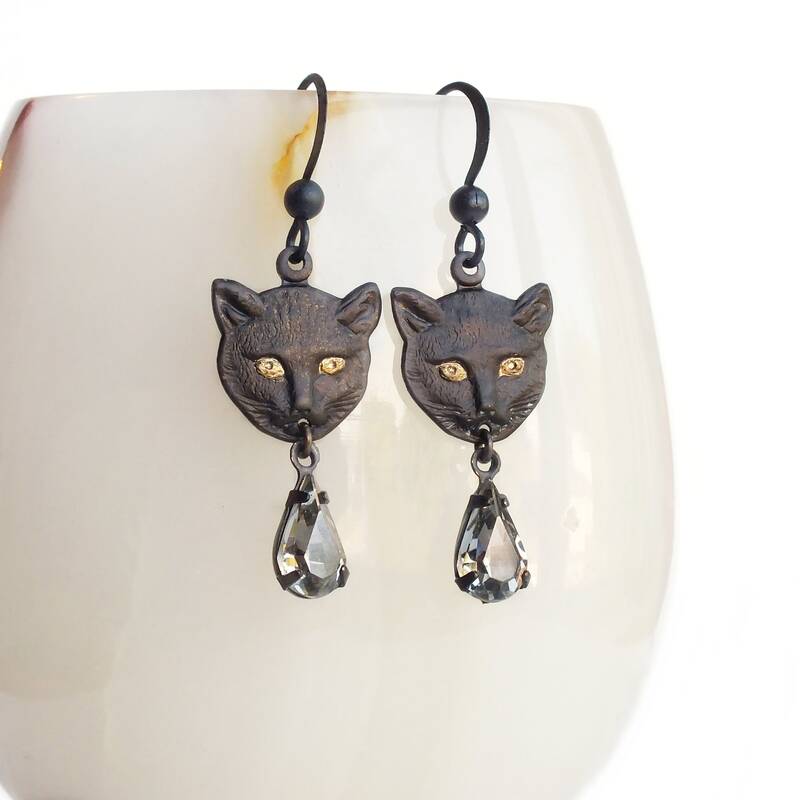 Handmade Halloween black cat dangle earrings with black oxidized brass cat charms and glass rhinestones. 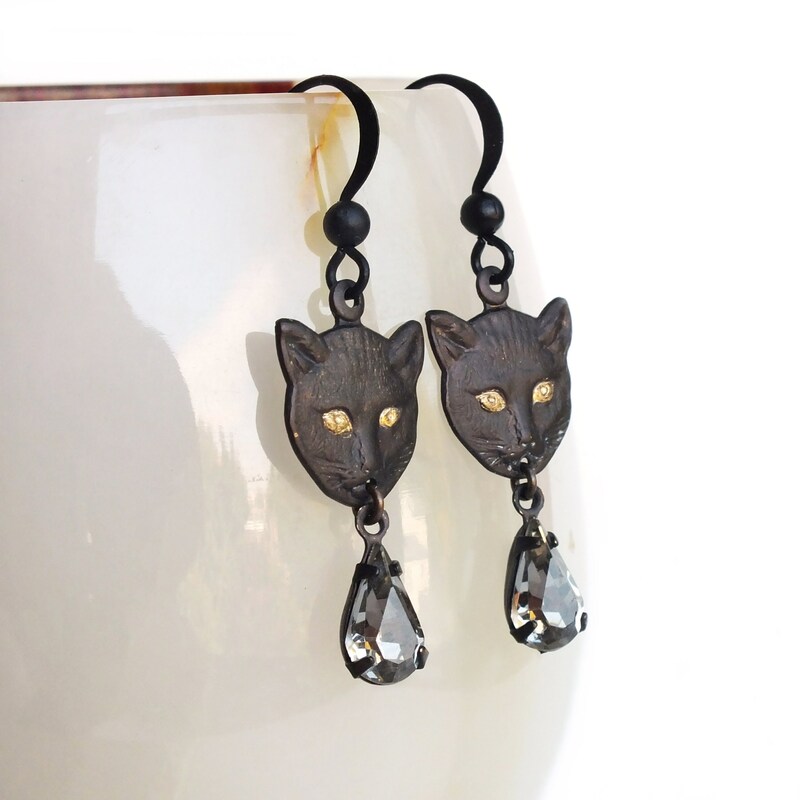 US made oxidized brass charms and ear wires. 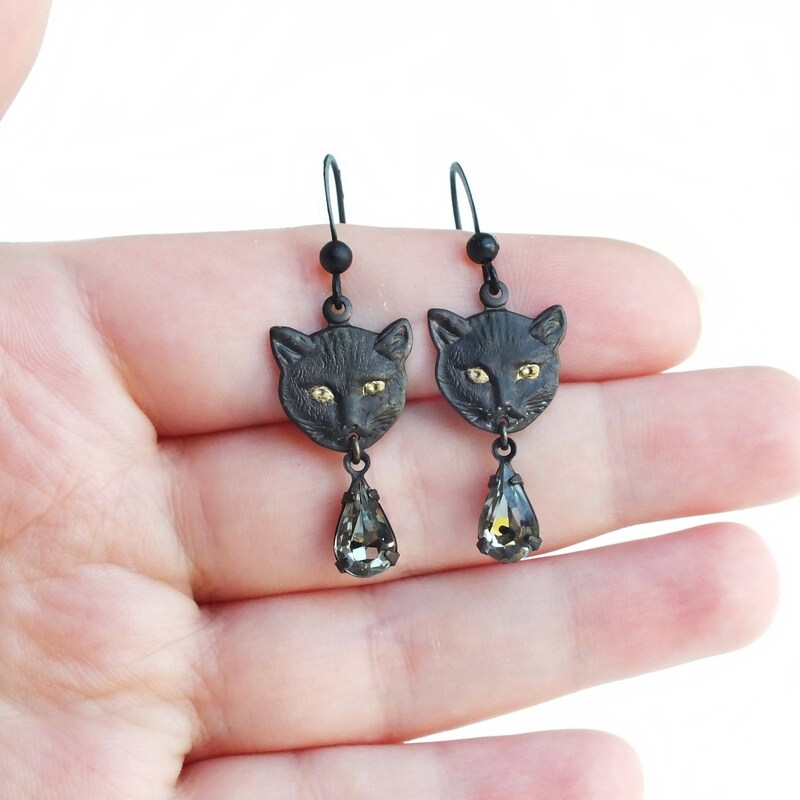 1 3/4 inches - 4.5 cm long. 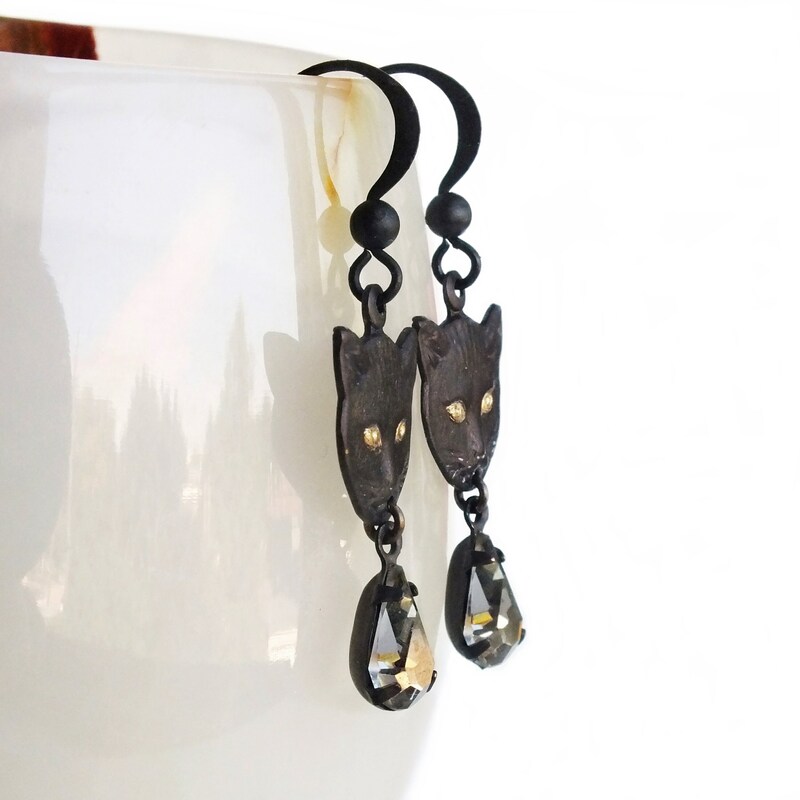 Halloween earrings made with finely detail brass cat face charms I oxidized to an almost black patina with raw brass eyes. 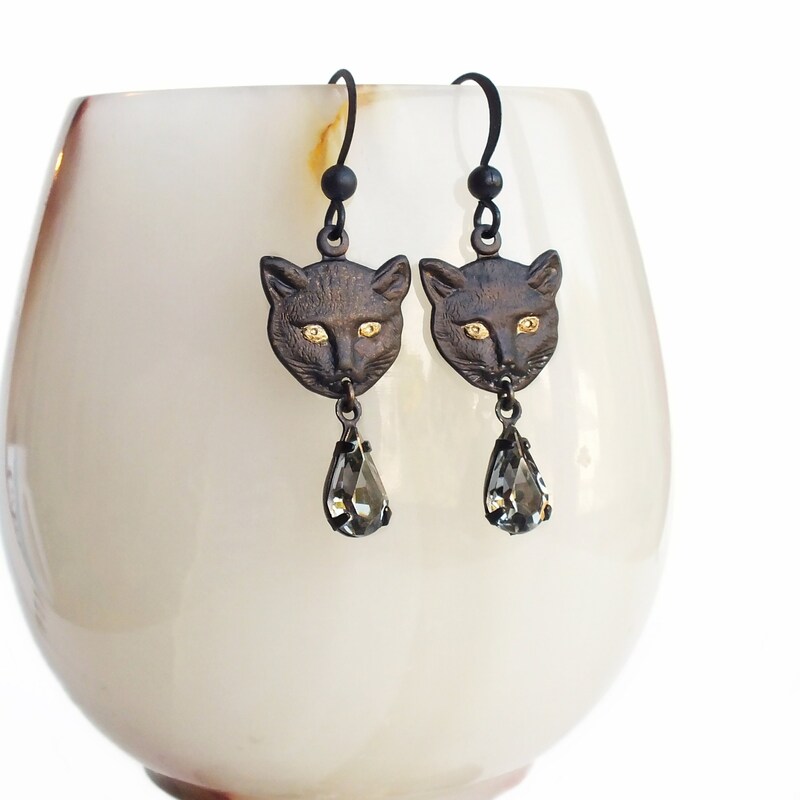 Adorned with sparkling smoky grey vintage glass rhinestone drops.